Bed bugs topped the list of the most searched for pests in 2015 according to PestWorld, the website that represents the National Pest Management Association. Web users will find there is no shortage of information or news available on the subject matter of bed bugs on the Internet. So, how does a layperson weed through the masses of information available online to uncover the truth? Better yet, how do you determine the best product to employ to keep you and your home or business bed bug free? The problem is anyone can publish information on the Internet. However, not everyone is an expert on the subject matter. So what sources should you trust and which should you disregard when it comes to information available on bed bugs? 1. Do you recognize the website name? If you are looking for technical information on a particular pest, consider who has written it. A pest professional, state extension service, University or association representing the pest industry should be considered trusted sources representing the best interest of their readers. If you are on a manufacturer’s website, consider if they have completed research on the product and if so is it published in any scientific journals? 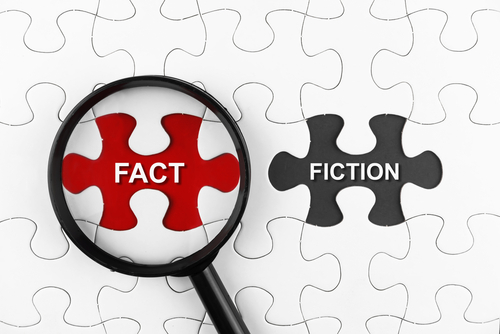 Articles or research should at least link to reliable sources to back-up their claims. 2. Scientific papers are a trusted source. Don’t shy away from the name just because science wasn’t your strong suit. Information based on scientific studies from a trusted source such as a University or an independent lab may be technical in nature but should be considered as tested and proven sources for product recommendations. 3. Consider products that not only publish lab results but also have field study results available. At times, a product will perform well in the lab but when placed in the field for study, fail miserably. Seeking out sources that publish both lab and field information show that the manufacturer understands the need for the product to perform in the field before it lay claim to ‘real world’ efficacy. 4. Is the author of the paper a reliable source? If information found on the web does not indicate an author, and list his or her qualifications, then reconsider the source. 5. Is the product EPA registered? The process of registering a pesticide is a scientific, legal, and administrative procedure through which the federal EPA examines: the ingredients of the pesticide; the particular site or crop where it is to be used; the amount, frequency, and timing of its use; and storage and disposal practices. In evaluating a pesticide registration application, the EPA assesses a wide variety of potential human health and environmental effects associated with use of the product. Any company that wants to produce the pesticide must provide data from studies that comply with the EPA’s testing guidelines. The EPA develops risk assessments that evaluate the potential for: harm to humans, wildlife, fish, and plants, including endangered species and non-target organisms; contamination of surface water or ground water from leaching, runoff, and spray drift; and, potential human risks range from short-term toxicity to long-term effects such as cancer and reproductive system disorders. The EPA also evaluates and approves the language that appears on each pesticide label to ensure the directions for use and safety measures are appropriate to any potential risk. Following label directions is required by law and is necessary to ensure safe use. Any product which makes claims to kill any living organisms, such as insects (insecticides), bacteria (disinfectants), algae (algaecides), mold & mildew (fungicides), weeds (herbicides); and so forth, must be registered with the EPA. An EPA registration number has absolutely no bearing on being "Environmentally-Friendly" or "Environmentally-Safe"; these expressions are sales and marketing hype terms to make a product sound as if it is "safe" and "healthy" to use. The next time you turn to the Internet to research bed bugs or purchase effective products to prevent or control them, consider the tips listed here. Remember that products that make exaggerated claims, lack research with proven links to where those studies are published or are without any credible University or independent lab testing may be a waste of your time and money.